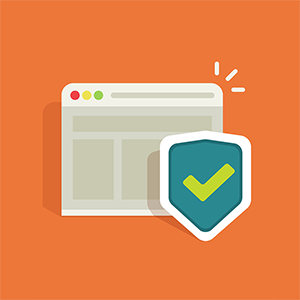 Why is Web Security Check Important for Your Website? Web security is one of the most trending talks in the IT sector. A detailed and organized website security check will help in revealing vulnerabilities existing in your code and fixing them before they get exploited by hackers. This article will enhance your understanding about the importance of web security and how a web security tool like cWatch Web will help in executing regular security checks besides providing your website with the best firewall protection and several other key web security features that will be discussed here along with their benefits. Website Security Check – Why is it important? One single security beach is capable of leading to the downfall of your entire business besides losing sensitive and confidential business-related data and even your very own login details, passwords, banking data etc. Your website is thus your brand and could also be your first contact with customers. Websites need to be protected by conducting regular website security checks because an unprotected website will turn into a security risk for a business and its customers. Unprotected websites will also encourage attacks on other websites, attacks against national targets and infrastructure, and above all the spread and escalation of malware. In most of these attacks, hackers will make attempts to harness the combined power of thousands of computers and websites in order to launch an attack. Hacking does not just deal with stealing data, but it is also a process used by hackers to develop watering holes used for hiding malware as a means through which malware can spread to any visitors to that website. Thus, ensuring your website security features are updated and strong can boost your site’s traffic in ways you probably never considered and remember that it is always better for your website’s security standards to be higher than other websites. To help you achieve this, Comodo has developed a web security tool called cWatch Web - a managed security service for websites and web applications. Comodo cWatch Web is considered to be the only solution available in the market that is capable of combining a complete security stack managed by human expertise all in just a single solution. Performs activity baselining and anomaly detection to detect changes in behavior linked with hosts, users, applications, and areas of the network. Senses and tracks major threats and incidents, providing links to all supporting data and context for effortless investigation. Executes event and flow data searches on a historical basis or in a real-time streaming mode Collects events and logs from network and web assets, operating systems, applications, security devices, databases, and identity and access management products. Processes vulnerability information from web, network, and application vulnerability scanners. Scans and identifies malware embedded in applications. Instant event normalization and correlation is performed for compliance reporting and threat detection. Blocks malicious bots and brute force attacks from websites. Provides steady updates of virtual patches and instant response to apply a patch for the zero-day attacks when they become known to the public. Protects vulnerable websites by detecting and removing malicious requests and stopping hack attempts. Globally-distributed Anycast network for efficient distribution of traffic. Comodo’s CDN is the only web services platform built on security along with a fortified machine learning core capable of aggregating, examining, and syndicating real-time threat data both to and from each of Comodo’s secure services. Website data is copied to 29 locations throughout the world guaranteeing that data has shorter distances to reach a customer wherever they are and providing a faster experience. Search engines reward websites using CDN with higher rankings on search results. Leverages compression and browser caching technology to save on bandwidth costs and usage.